Readers love swords, especially in historical and fantasy fiction. Even if you've never wielded a sword, you can write a great sword fight scene. Real sword fights are short and violent, with blood and gore. Fictional fight scenes don't necessarily reflect this reality. They can be more entertaining: The fighters clank swords for a long time without spilling a drop of sweat, let alone blood. They perform acrobatic feats, swing from the rigging, slide down banisters, dangle from balconies, and leap across gorges - and all the time, they exchange taunts of sabre-sharp wit. You may choose to reflect gory reality, or to entertain the reader with a sanitised skills display. You can also mix elements from both. This depends on the genre you write, as well as on your personal taste. Often, our task as writers is to create not reality, but an illusion of reality. If you inject enough realistic elements, the readers can suspend their disbelief about the rest. Where does the fight take place? To make your fight scene entertaining, choose the weirdest possible location: How about a duel in a wine cellar, in a cow shed, in a kitchen, in a lady's boudoir, in a steam bath, in a rowing boat, in a bakery? Let your fighters jump onto tables, duck under hurdles, leap across gorges, dangle from balconies, balance on standing stones, climb masts, and somersault across hedges. You can add a measure of realism by having them pant for breath. Stairs are a popular location for sword fights. The fighter who stands higher up and fights downwards has the advantage, so your characters probably jostle for that position. What are the spatial restrictions? To keep your sword fight realistic, consider the space, especially for indoors scenes. Is there enough room to swing the sword? Is the ceiling high enough to raise the weapon overhead? If there isn't room, this can actually make the scene more interesting - but you have to write it accordingly. Medieval castles were designed for defence, and the spiralling staircases wound in the direction which favoured the defenders. The right-handed fighter facing downwards had room to swing his sword - the right-handed fighter facing upwards had not. In a real fight, the fighters don't waste breath on conversation, and are too focused on the action to think out witty repartees. However, readers love dialogue, especially in entertaining scenes. Create the appearance of reality by using very short, fragmented sentences. This conveys the breathlessness of the action. Cut every superfluous word. Delete any utterance which isn't funny or profound. The sword fight is probably the fastest-paced scene of your novel. Adapt your writing style to the pace of the action. Use adjectives sparingly, and try to avoid adverbs. Even if you're knowledgeable, avoid getting bogged down in technical details. Blow-by-blow accounts are boring. Describe the first few movements of the fight, and make sure they are feasible for this type of sword and the space. The moves which end the fight need to be specific again. Sword fighters often carry a shield in their other hand, to deflect their opponent's blows. This is especially important in battle scenes. If you have experience of sword fighting, use it to make your fight scene ooze authenticity. Write about the type of sword you're familiar with. You can even create a fight in which the opponents wield different swords. 1. Inventing a fancy-shaped sword. Most swords invented by writers wouldn't work in reality. 2. Using a sword which didn't exist in that historical period. 3. Using a sword which can hack, slash, cleave, stab, slice, pierce, thrust, cut through armour, split bricks and whirl through the air. Different swords can different things. No single sword can do everything. This sword is straight, often thin, maybe lightweight, always with a very sharp point. It is a good choice for entertaining fight scenes, duels, non-lethal fights, non-gory deaths, and swashbuckling adventure, especially in Europe from the Renaissance onwards. The typical user is slim, with good aerobic fitness, and may be female or male. It's best for thrusting, piercing, stabbing. In a lethal fight, the aim is to pierce a vital organ. The typical injury involves seeping blood, and blood stains spreading across garments. It cannot hack through skulls or slice through or armour. Examples: the rapier, the gladius. This sword is broad, straight, heavy, solid, big - sometimes it's so huge that it needs to be held in both hands. Both edges are sharpened. Choose a cleaving sword for historical novels set in medieval Europe, for brutal fights and for battles. Its main actions are cleaving, hacking, chopping, cutting and splitting, and it can cut through armour. The typical user is a tall brawny male with broad shoulders and bulging biceps. The main type of injury is an amputated limb, and the aim in a lethal fight is to hack off a leg or to decapitate the opponent. The disadvantages are its size and weight. It's too big to carry concealed, too heavy to carry in daily life, and too slow to draw for spontaneous action. Examples: the greatsword, the claymore. This sword is curved, often slender, with an extremely sharp outer edge. It's a good choice for shipboard fights, cavalry charges, and Asian or Middle Eastern settings. The typical user is a pirate, a sailor, a mounted warrior, a cavalryman or an executioner. This type of sword excels at slashing, cutting, slicing. The typical injuries involve lots of spurting blood. In a lethal fight, the aim is to slash a vital artery (e.g. on the thigh). If you want a sword which serves the hero in non-combat situations - slashing rigging, zropes, fabric and leather fetters - this is the one to choose. However, it can't cut through armour and it won't split bricks. In reality, the lines are often blurred: Some slashing words can also stab, some slashing swords can cleave, and some cleaving swords can deliver a thrust. To avoid blunders, stick to one main function. 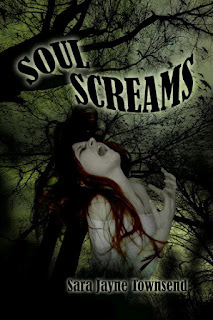 Rayne Hall writes dark fantasy and horror. 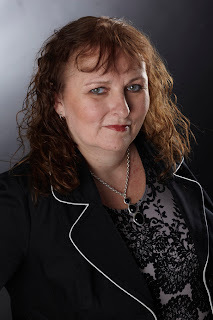 She has published more than twenty books under different pen names in different genres, and her stories have earned Honorable Mentions in 'The Years' Best Fantasy and Horror'. She holds a college degree in publishing management and a masters degree in creative writing, and teaches online classes. Even if you've never wielded a weapon, you can write an exciting fight scene. Rayne will show you how, in her workshops on 'Writing Fight Scenes. It's an enjoyable sword fight, utterly unrealistic but entertaining. Watch the creative use of space. Also, I've updated the post to include Rayne's YouTube link mentioned in her comment. Loved Stewart Granger's striped tights :) It was a fun scene to watch. I tried to post a comment on the blog but had trouble. I don't know if it took it or not. In my WIP I like to have two female witches do some sort of battle. The time is 2010 but I thought the setting would be an old European castle (cliche, I know. Hopefully I'll come up with something better in the mean time) weilding whatever weapons are available in said building. They'd add a bit of magic as well. I've never written any type of fight or battle scene so I'm looking forward to the class in March. This time your post has arrived ok.
:-) An old European castle can be an exciting setting. How about having the fight happening in a specific part of the castle? In the chapel, on the drawbridge, in the kemenate, in the spiral staircase, in the garderobe (that's the medieval castle's toilet), in the castle kitchen, in the courtyard, in the oubliette, above the well (one of them falling in and just managing to hold on to the edge), on top of the curtain wall, in the moat, in the modern ticket office... or, for a lengthy fight, a combination of several? Is the castle ruined, or is it intact? Is it private, or open to the public? I'm glad to know I used the claymore in my vamp novel correctly! I also figured a vampire wielding a claymore had the strength advantage and would not need to use two hands like a regular mortal might. All of my sword knowledge comes from video games or books I've read. Great article for anyone wishing to have a sword fight. Very interesting post! Thanks for sharing your expertise. I've never written a sword but I'd I do I'll be sure to do my research ad avoid the three blunders you mentioned. It's amazing how many writers try hard to come up with a sword of unusual shape, usually a blade with lots zigzags and fancy edges, which wouldn't stand the test of reality. A traditionally-shaped sword would work much better. Whenever I read manuscripts in which the hero has this unusually shaped sword, I wish the writer had applied her creativity in more plausible ways. On the other end of the scale are the writers who give no thought to the sword at all, they just assume that a sword is a sword is a sword. The hero uses the same sword to do everything from splitting skulls and chopping wood to running through opponents and slashing canvas tents. There are no generic swords. Maybe one day you'll write one? Worth watching, just to get an idea of the sheer size of those swords - as well as how they are wielded. Saw a movie where one man used a thrusting sword but the second man used a very long dagger - was wondering if this was in fact another kind of sword. Can't remember the movie. Would Samurai swords be classified as the thrusting kind? By the way, appreciate this blog very much. The info is useful and although I don't write such fight scenes right now, would archive this info for use. Katanas are definitely slashing swords, at least the way they're typically used in the movies. Yes, some daggers can be very long, and are used like swords. The line between daggers and swords is often blurred. Historical Scottish dirks were sometimes very long, and used like swords, mostly for stabbing, and some slashing. Ancient Celtic swords were relatively short and are sometimes referred to as daggers. The Samurai sword is a katana. The katana, with its slight curve and extremely sharp edge, is essentially a slashing sword. It straddles the line between slashing and cleaving sword, especially the bigger versions. It's definitely not a thrusting sword (It's not suited to epeated thrusting action, though at a pinch it can be used to stab an opponent who is already down). If you're writing a samurai sword fight scene, describe mostly slashing, cutting, slicing, and (optional) lots of spurting blood. The katana is probably the most romanticized of all sword designs. There is no other weapon that gives rise to such passionate arguments about its capabilities. A lot of sources have an agenda to glorify it (or denigrate it). Since it's longer than many slashing swords, and is typically very sharp and strong, most fight scenes have the katana swung in curves rather than lines (cutting deep through any flesh that happens to get in the way). Yes, the katana (and several other sword types) are the subject of endless discussions about technicalities among sword lovers. If a story revolves around the weapon, the writer needs to study its use in more depth. For example, if a story is about a young warrior learning katana fighting skills, the writer needs learn more than I've presented in these few paragraphs. Fortuntately, most writers don't need to go into technical subtleties. The writer of historical romance, for example, only needs to make the sword fight broadly plausible. It's enough to show the katana's slashing/slicing/cutting action, and lots of blood. Alas, I've seen manuscripts where the writers didn't get even these broad basics right, e.g. duellists wielded katanas like foils! No novel should contain this sort of blunder. Out of interest: What do you think of the katana fighting in Kill Bill? This is perfect for the older style (Highland) claymore, which is a huge two-handed double-edged cleaving weapon. However, there's a newer sword type called claymore, which is much lighter, thinner, single-edged, more of a slashing/stabbing weapon. When I originally replied to your post, I assumed that you meant the old-style claymore. If that's what you have in mind for your vampire, perfect. If it's the modern type, it will need less strength and different handling.